All coin collectors know not to clean their coins but almost everyone else thinks it will help the value of their coins when the opposite is true. Cleaning coins – Two words of advice DO NOT! Any coin collector, who has been in the hobby, for more than a few minutes has been given this sage advice. All of my numismatic or coin collecting videos are for new and experienced coin collectors. This video is for everyone who has some old coins hidden away, received coins as an inheritance, or received some coins as a gift. There may be a point in time where you want to sell your coins. Your first thought may be – Oh, they look dirty or tarnished so let me clean them up before I try to sell them. Wrong! Do not do this. The pictures I will be showing during this video are ways some clean their coins – Do not use any of them. Coins are not your old silverware collection that may sell for more if they look pretty. Coins have two types of value – numismatic and the value of the metal inside the coin. No matter what you do to a coin except for cutting it up and reducing its weight will affect the metal value of the coin. There is a simple formula a buyer will use to determine the metal value of the coin. It has to do with the weight of the silver or gold in the coin times the price of silver or gold at the time of the sale. The purchaser will pay you a little less than that value. The numismatic value is where the true value is to a coin collector. All coins will be graded on a 70 point scale by coin dealers and collectors. They can see past the dirt and tarnish a coin may have. Cleaning a coin will greatly or totally reduce the coins value down to the metal value of the coin. An old silver dollar from the 1880s may have a value between hundreds of dollars to tens of thousands of dollars based on the rarity and the grade of the coin. The minute you clean it, the value could drop all the way down to the metal value of $25 or so. You just threw or cleaned you way to a loss of hundreds or thousands of dollars. Every coin dealer in the country can tell you many stories of people coming in to their shop and at first glance it appears they have a nice collection to sell. Sadly, at close inspection either with or without magnification it is obvious the coins had been cleaned. A possible $50,000 collection is now worth a few hundred dollars. No matter what you use, soap and water, special cleaning solutions for silver and gold, dips, acetone, or chemical cleaning, most dealers and collectors will know very quickly if your coin has been cleaned. So please, do not clean your coins. All coin collectors feel badly when they see what could have been a valuable coin reduced to a “hole filler” A coin we could normally not afford but will buy it at a very low price just to have the coin in our collection. 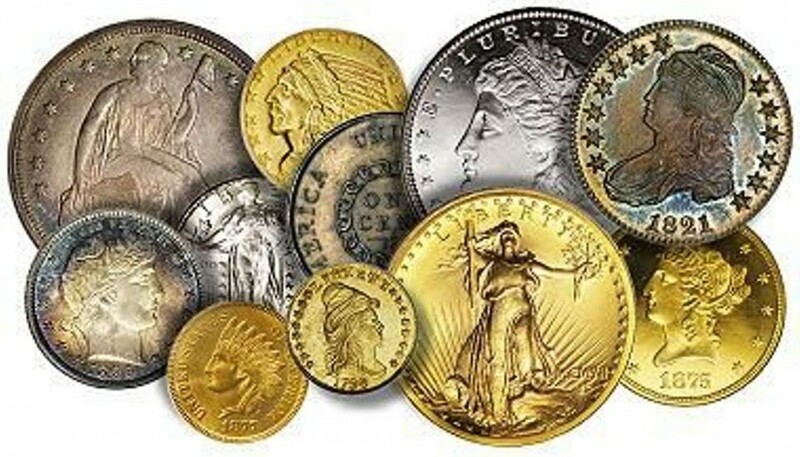 Or a coin we will purchase simply as a way to buy a small amount of silver or gold. Please share this video with everyone you know. Tweet it, facebook it, pin it, and email it. Most people have some old coins and it would be a shame to see them reduce the coin’s value which in turn hurts them greatly in their pocketbook while ruining a coin that could be cherished by a coin collector. Thanks for watching and please subscribe to my youtube channel. Please share this video so more people can learn that they should not clean their old coins.